A sleek, white gumdrop-shaped space capsule that aims to carry up to seven astronauts to the International Space Station and return to land anywhere on Earth was unveiled Thursday by SpaceX. 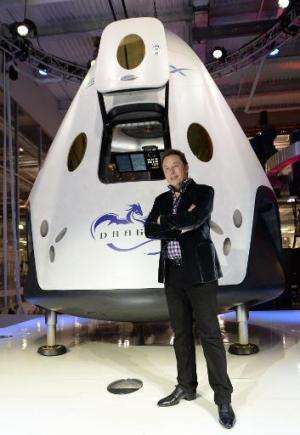 The Dragon V2, short for version two, is the first attempt by a private company to restore Americans' ability to send people to the orbiting space station in the wake of the space shuttle program's retirement in 2011. "It's all around, I think, really a big leap forward in technology. It really takes things to the next level," said SpaceX CEO Elon Musk. SpaceX is competing with other companies—including Boeing, Sierra Nevada and Blue Origin—to be the first commercial outfit to take astronauts to space, possibly as early as 2017. Until then, the world's astronauts must rely on Russian Soyuz spacecraft at a cost of $70 million per seat. The Dragon V2 was shown for the first time at a jam-packed evening press conference in Hawthorne, California. The shiny Dragon V2 sat on a white stage floor, as a scorched Dragon cargo capsule was suspended above, bearing the blackened markings of a capsule that had returned to Earth from orbit. SpaceX's Dragon capsule in 2012 became the first private spacecraft to carry supplies to the ISS and back. Since then, Orbital Sciences has followed with its Cygnus, a capsule shaped like a beer keg that can carry supplies to the space station but burns upon re-entry to Earth's atmosphere. Musk said a key feature of the Dragon V2 is that it will be able to "land anywhere on Earth with the accuracy of a helicopter." The crew spacecraft will be able to use rocket propulsion and deploy legs to land, instead of using parachutes to make an ocean splash-landing the way the cargo capsule does. It will however still have parachutes that it can use for a landing in case any engine problems are detected before touchdown on Earth. The V2 also carries an improved heat shield and will be able to autonomously dock with the space station, instead of needing the space station's robotic arm to catch it and pull it in. "That is a significant upgrade as well," Musk said. 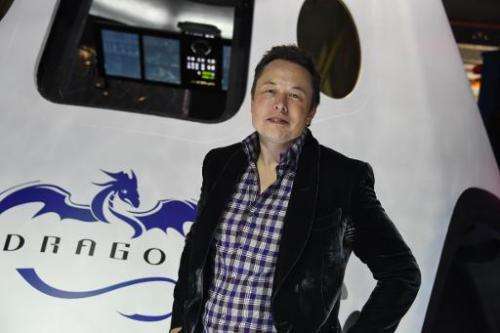 Musk touted the reusability of the Dragon V2, allowing it to cut back on expensive space journeys. "You can just reload propellant and then fly again. This is extremely important for revolutionizing access to space," Musk said. "Because as long as we continue to throw away rockets and spacecraft, we will never have true access to space. It will always be incredibly expensive," he added. "If aircraft were thrown away with each flight, nobody would be able to fly." The Internet entrepreneur and billionaire co-founder of PayPal did not say when the Dragon V2's first test flight would take place. Ever since the US space shuttle program ended in 2011, the world's astronauts have depended on Russia's Soyuz spacecraft to reach the ISS, an orbiting outpost built and maintained by more than a dozen countries. SpaceX, Boeing, Sierra Nevada and Blue Origin have all received millions of dollars in NASA funds to help them develop next-generation spacecraft that will someday carry astronauts to space. 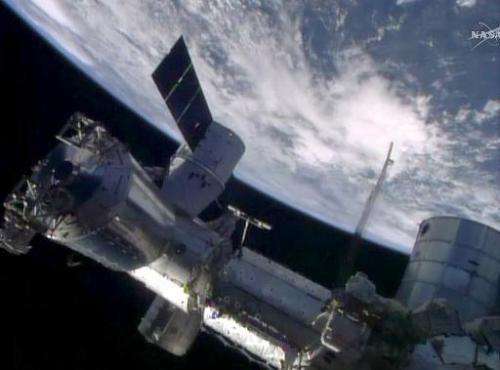 SpaceX has said its crew capsule may be able to reach the ISS with astronauts aboard by 2017. Meanwhile, NASA says it is focusing on building a new deep space capsule that could take humans to Mars by the 2030s. SO cool! Go SpaceX, i don't think they'll hold off until 2016 for manned flights, more like 2015 at the latest, i wouldn't be surprised if they flew this year! Keep up the good work SpaceX! You know they will get this human rated capsule flying as soon as they can. The industry is seemingly switching back from Aluminum-lithium alloys to Aluminum copper alloys. The skin/structure of the Falcon 9 was/is Aluminum-Lithium, but the inside of this capsule, the CAD cut illustrates that it is probably Aluminum-Copper alloy. Since it is all mass issues, the interior ends up properly looking like a $5000 retail cardboard car that has gone sideways due to sadistic accountants. And space-x would appreciate it if you took a dump and a leak before you boarded, thank you very much. It's all about manufacturability, note the change between the utilitarian Dragon V1, kept a few years for cargo transport, and the industrialized Dragon V2, using Tesla batteries and screen technology and a smooth heatshield wrap to include the massive exhaust SuperDracos. @KBK: If airplane materials cost more than car materials, SpaceX will choose car materials - mass before cost - fuel and tank elongation are relatively cheaper. 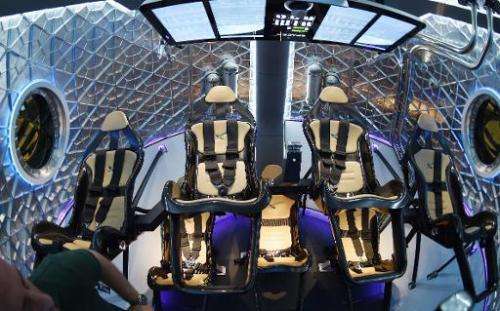 If and when Dragon V2 is used for fewer person longer trip BEO tests (say, around the Moon for starters), changing out the lower 3 seats for shower/toilet and pentry functions would be a given I think. In SpaceX plans, Dragon seems to be test vehicles on the road to MCT (Mars Colonial Transport), no more. BTW, there may be a misunderstanding here. The V2 isn't finished inside. It's claimed to be used for orbit (likely used as the unmanned test prototype as first trip), so it will have to be fitted with the missing stuff like control cabling and gas fittings to the engines, thermal insulation and environmental system for the astronauts, storage compartments for the cargo and personal stuff (~500 kg inside the pressure vessel in the manned version). I think the interior of the Dragon V2 is essentially complete, perhaps just a addition of soft covering for the milled metal surface. Who in their right minds will spoil a design by adding on all sorts of tubings and fittings inside the cabin? Perhaps NASA engineers! In the V2 they are designed to be outside the living area in the first place. I was sort of hoping they might put in the cup holders. I was making a hopefully humorous comment on how it looks: How proper it looks, How simplistic it looks. Exactly as much as is needed, and not one kilo more. Spartan and efficient accommodations, indeed. Utilitarian. Which has it's own charm. Space age IKEA.